It was the first telephone conversation between the two members of the exclusive president's club and focused on US-China trade negotiations, the White House confirmed in a statement, which referred to the correspondence as a "very good telephone conversation." 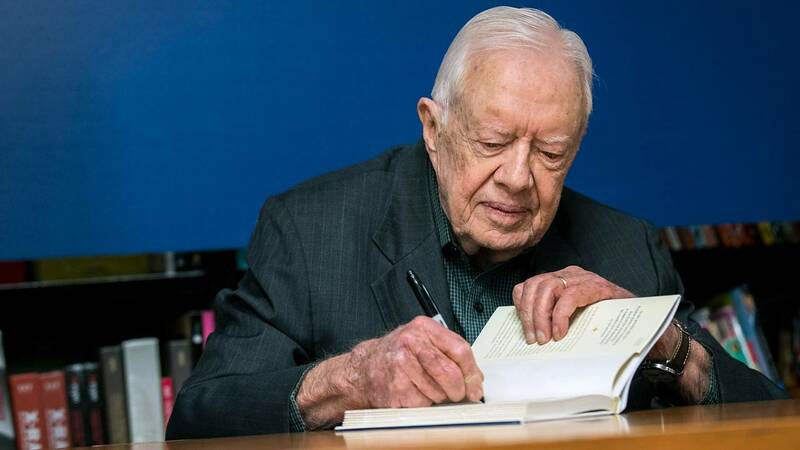 Carter wrote Trump "a beautiful letter" about the ongoing negotiations, the White House said, and the presidents also discussed "numerous other topics." "The President has always liked President Carter and first lady Rosalynn Carter, and extended his best wishes to them on behalf of the American people," the White House said. Carter said it was the first time the two have spoken and said that Trump was particularly concerned with how China is "getting ahead of us." "And do you know why? I normalized diplomatic relations with China in 1979. Since 1979 do you know how many times China has been at war with anybody? None. And we have stayed at war," he said according to WABE. Trump and Carter have had enjoyed a warmer relationship than the current president and any other living president since taking office. Carter has shown Trump support on a number of issues, particularly on North Korean talks. In 2017, Carter told The New York Times that the media was "harder on Trump than any other president certainly that I've known about."